Who wants glowing, vibrant and healthy skin? YOU ARE WHAT YOU EAT has become a cliche but still holds true! How I wish somebody could say, "This is the magic potion! Once you applied this, your skin will be at its best in an instant!" Not even a million dollar moisturizer can do that. 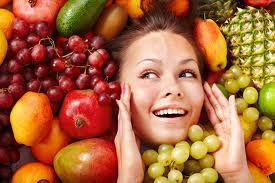 Dermatologists will attest that one of the sure fire ways to achieve a healthy skin is to intake FRESH fruits bursting with vitamins and minerals! Water (hydration) is also a must. My friends and titas are asking what moisturizer I'm putting into my face recently. I honestly believe it's not 100% due to any topical products but due to a regimen I'm doing for more than a year. I'll be sharing with you a not-so-secret healthy drink that will do wonders not only for your body but for your skin too! If you're near any SM Supermarket Branches, you'll find these ingredients (more likely): Strawberry pack (costs about Php 90), Mango pack (Php 30) and Dole Pineapple pack (Php 70). Price is okay compared to a "so-called-fresh-fruit" cup that you can buy in malls (not to mention - they contain sugar and fructose). Note that strawberries might be seasonal, however, you can replace them with kiwi or banana, if you wish. 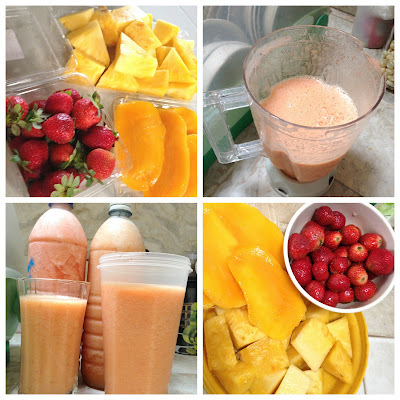 Clean the fruits first, then just yank all the ingredients in the blender with water. NO SUGAR, if you may. You may adjust the water content depending on your preference. Once ready, place them on a container and store them on the fridge to cool some more. Fresh fruits equal fresh skin. Berries (strawberries, blueberries, etc.) are bursting with anti-oxidants. They are our skin's best friend. ;) Vitamins and minerals are also healthy and will give us that much needed strengthening of our immune system as we're living our fabulous day to day schedule. I only got sick once a year (thank God). This regimen sorta suppresses my appetite too. This comes in handy whenever I crave for junk foods! The most noticeable benefit is my skin's healthy vibe. My last year's post about this is HERE. your hourly fix of soft drinks or other sugary drinks. Somebody told me that fresh foods are 'alive' and therefore healthy. Compare this with your canned goods that has a 2-year expiration date. Just had a craving for fruitshakes!!! :)))) is it still good without sugar though? 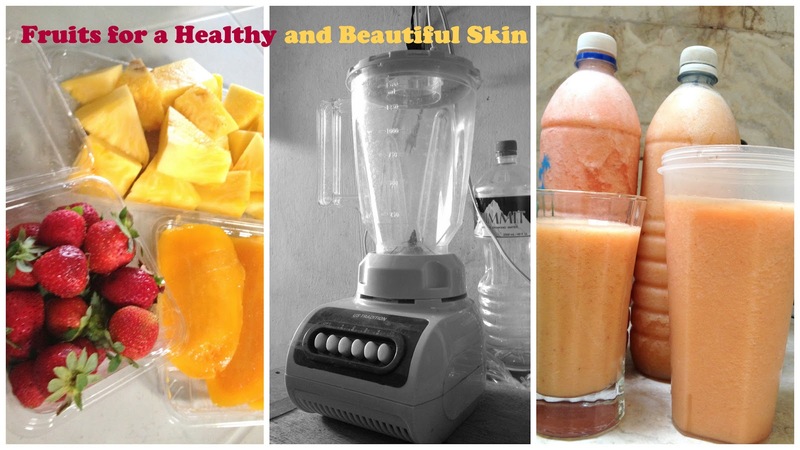 I thought you're gonna make a fruit face mask from the shake at first (the first photo deceived me). haha.